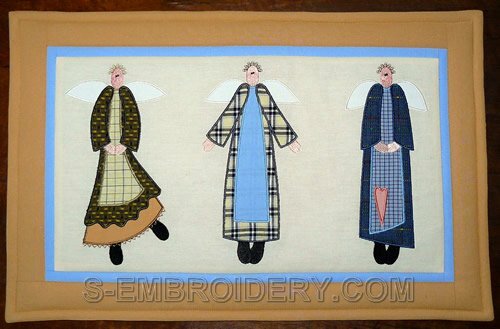 A set of 3 country angels applique machine embroidery designs. 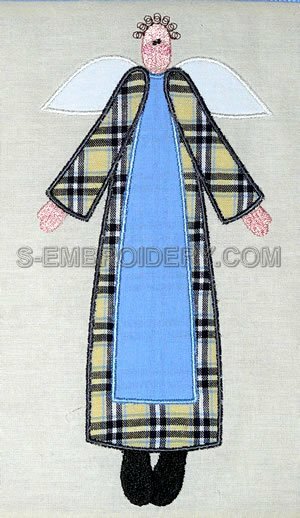 The applique Angels are available in 2 sizes: the smaller ones will fit in 5x7 (130x180mm) hoops. The largest design has a size of 5.11 x 9.41 inches (129.9 x 238.9 mm). The number of stitches is betwenn 8,600 and 12,850. The set comes with step-by-step instructions preparing the applique, featured on this page. If you would like to have a look at the tutorial - it is available on line. 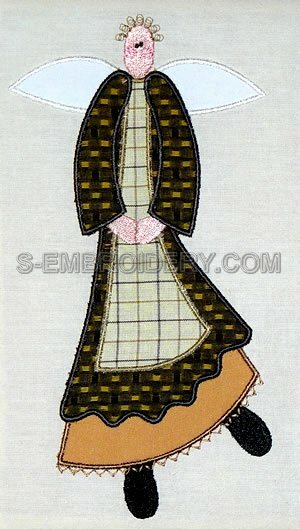 You receive 3 machine embroidery files and 2 PDFs with design information and instructions.